Thursday 13 December 2018 saw the return to BPIC of the renowned Irish landscape photographer, John Hooton FIPF FRPS MFIAP. John brought with him literally a car boot full of large prints. He doesn’t project his images and when you see the quality of his prints you can clearly see why. To say that the quality is outstanding seems inadequate. It’s not often that you see, on such a scale, in photographic prints, in one evening, such a range of delicacy and vibrance in colour, softness in mood and sharpness in detail, close up landscape detail and large scale vistas, and truly eye-popping three dimensionality. We knew John’s work was up there, but I think it would be fair to say he managed to exceed our expectations by quite a way. And that was just the Landscapes! The second half of the evening featured a series of large prints from his latest work, Ireland, The Way We Were. Just fantastic! We were all in awe. Not only did we get to see John’s prints in close up, glorious Permajet colour, but John’s description of his images and technical insights was not only educational and entertaining but also truly inspirational. Our 6th meeting of the new season was a member driven night aimed at sharing tips and techniques that might help all members of the club improve their photography in one way or another. The focus this week was on achieving better output in terms of image quality, and in particular colour images, whether the image would be shared as a digital image, or as a print. 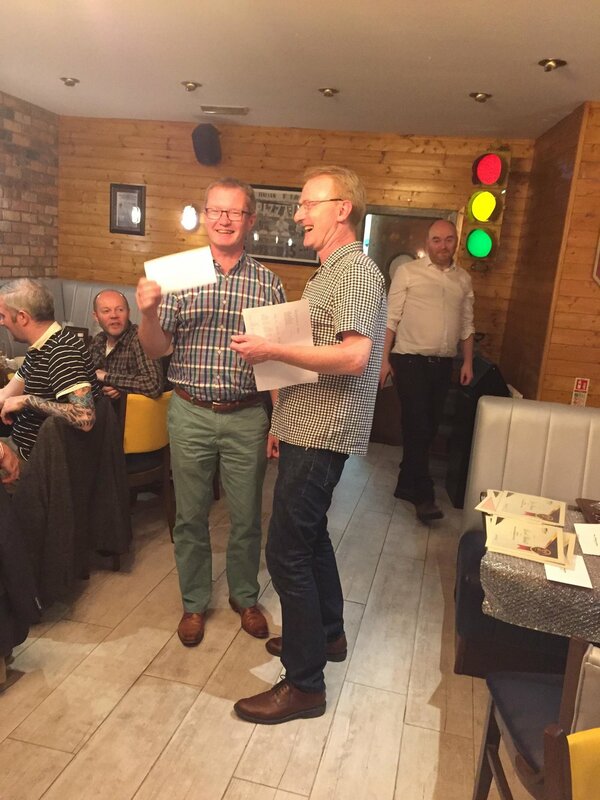 On Friday 1st June 2018 the Club held its annual dinner and prize-giving at Brooklyn SQ in Belfast. There was a great turn-out from Club members and a fantastic time was had by all! 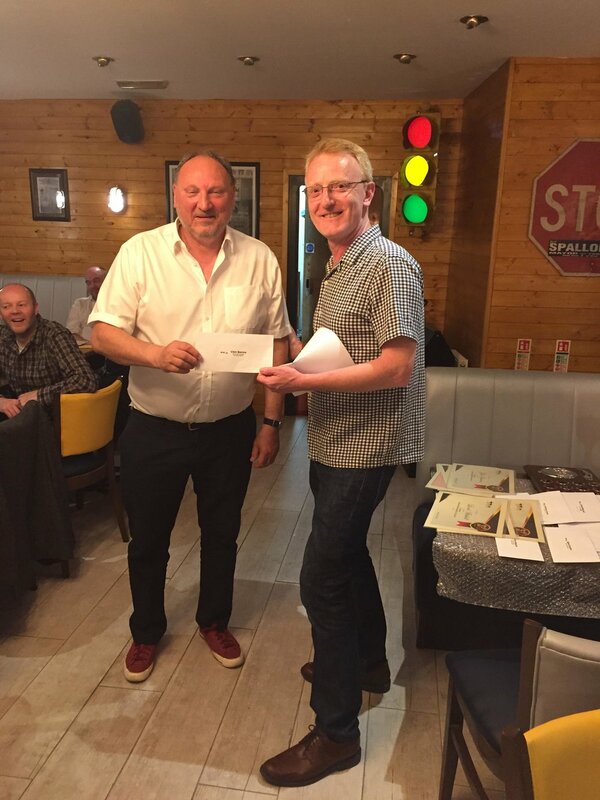 After the food and suitable refreshments, newly-appointed Club Chairman Kevin Vernon was on hand to present the prizes. These included the Lesley Porter Shield, the first and very worthy winner of which was Steven Pratt, Novice Photographer of the Year. 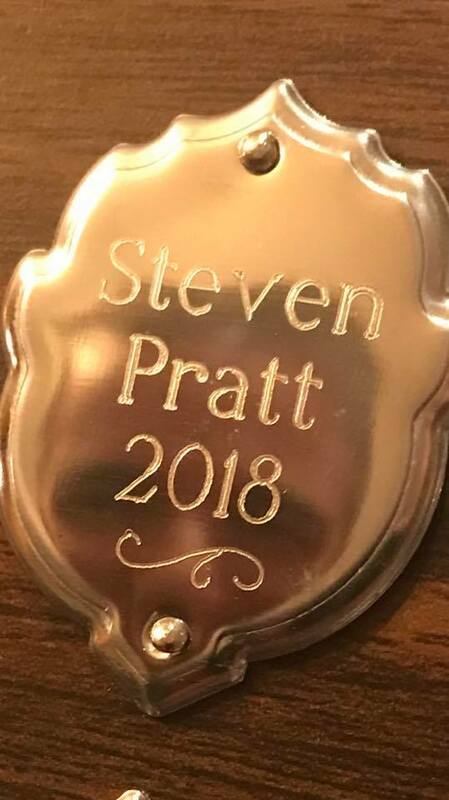 Steven, who was clearly moved by the award, said it was an honour to be the first recipient, particularly given that he and Lesley joined the club at the same time. He said he was extremely humbled to accept the award as the first novice to do so. Previous Chairman Brian Maguire was presented with the Advanced Photographer of the Year trophy, for the second year running. Margaret Goodall was presented with a framed image of the stunning image that came out top in the Novice Outings Competition. All winners were also presented with their cash prizes and special certificates to mark their achievements. 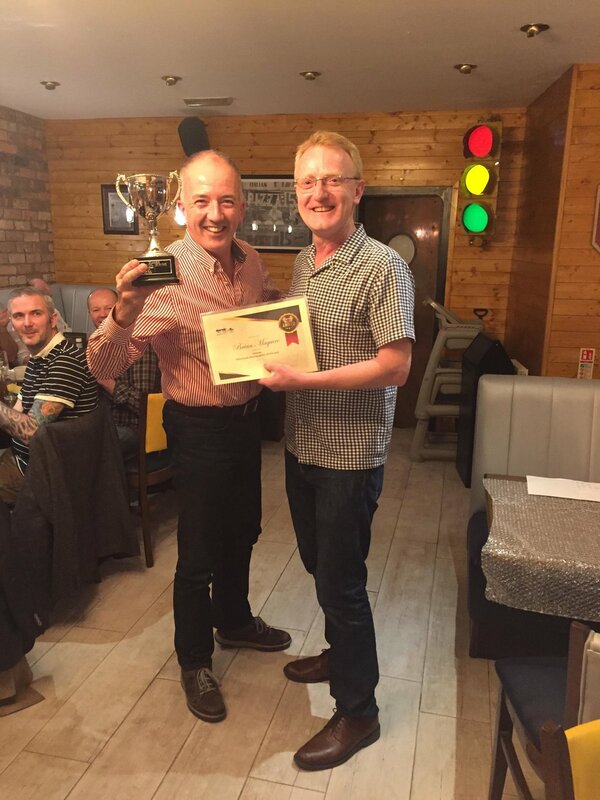 Top mono Novice - Glen Banna. Top mono Advanced - Brian Maguire. Top colour Novice - Steven Pratt. Top Colour Advanced – Rory O’Donnell. After a ridiculously close contest I am pleased to announce the top three in BPIC’s Photographer of the Year Advanced Section for 2018. But first I need to commend our adjudicator tonight on his great insights and decision- making on such an important night. 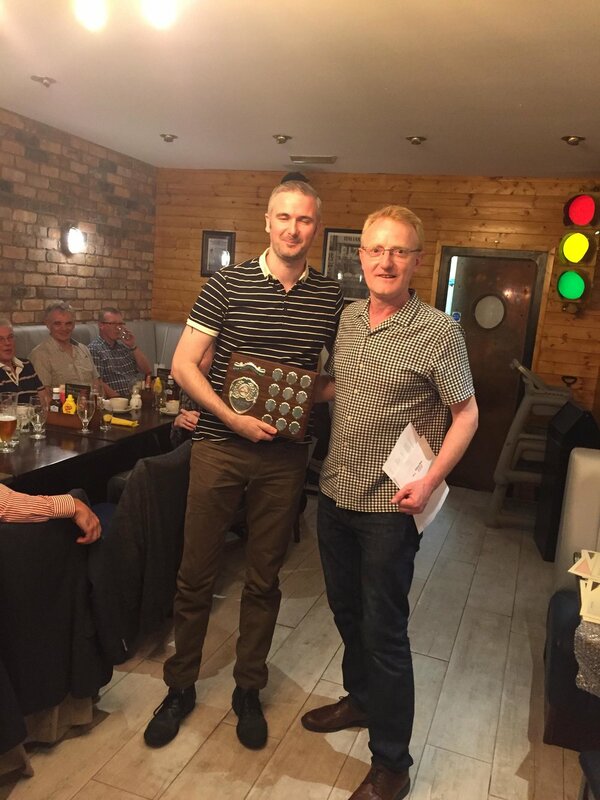 Donal has contributed significantly to BPIC’s season and we look forward to him doing so next season. After seven rounds of competition the owner of the Advanced title was settled by only three points. The top three demonstrated their enviable talents throughout the season and showcased some fantastic images round after round. So without further ado I can announce that in third place is Lionel Mitchell. Lionel scored highly in rounds three and five and made a big impact on tonight’s proceedings. We look forward to Lionel‘s highly valued contributions to the club next season. In in second place is Matthew Canning. I really do not need to say how highly rated Matthew’s work is and scoring 12 in one round says everything. Matthew’s value to the club cannot be overstated and he pushed the winner right to the last category of the last round of POTYA. Well done Matthew. The winner of the POTYA 2018 is Brian Maguire. Brian has sustained the quality of the competition with his stunning images. Brian’s images speak for themselves and what they say is “pay attention”. Congratulations are well deserved. Kevin Vernon, Vice Chairman and Competition Secretary. A massive congratulations to BPIC member Matthew Canning LIPF for winning a Gold PAGB medal in the South Birmingham BPE Exhibition with his superb portrait 'Intensity' which was awarded the maximum 15 points by the judges. Matthew also had acceptances for his images 'Jude' and 'Dingle Stone'. 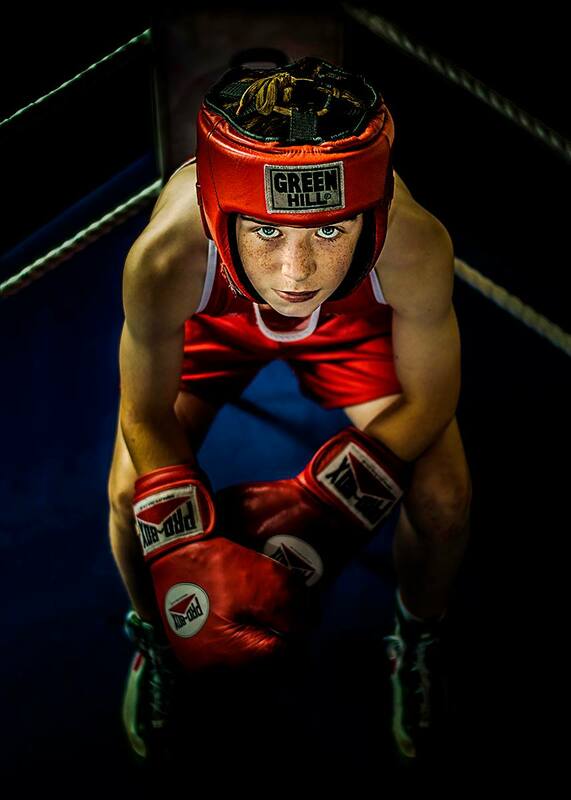 Matthew's winning image 'Intensity' was actually taken during a BPIC Club Studio night when Matthew was still a novice - it has been very successful in the British Photographic Exhibitions to date and was also part of the 2016 BPIC exhibition at Belfast City Hospital. Intensity, Dingle Stone and Jude were accepted into the Exhibition which will take place on Saturday 12th May 2018, at Kings Heath Friends Meeting House, Colmore Road, Birmingham B14 7PE. Round 1 adjudication of the NIPA Inter Club competition was jointly hosted by CPA & BPIC at Morton Community Centre on Wednesday 25 October and saw BPIC achieving a very respectable third place position, with two images by Brian Maguire being starred. Several other BPIC entries scored highly, with images by Matthew Canning, Stephen Pratt and Gareth O'Cathain all scoring 12 points. Full results are here. And here are Brian's starred images. A massive congratulations to Kevin Vernon LIPF - the latest BPIC member to achieve his Licentiateship accreditation with a fantastic panel of images which he presented at the IPF Distinctions sitting at Carlow on Saturday 23rd September 2017. Kevin's panel is below - more examples of successful BPIC panels can be seen here. A huge congratulations to Matthew Canning on achieving his LIPF accreditation at Mullingar on Saturday 13th May 2017. Also successful at Mullingar was the panel of the late Lesley Porter, who sadly passed away the previous day.